MomsRising.org | Forsyth County: Let's party to the polls! Forsyth County: Let's party to the polls! If there ever was a time to gather together, make some noise, and parade to the polls with some serious voting swag, it's now, during this election! That's why MomsRising is joining the Triad Women’s March on the Polls on Saturday, October 27th in Winston-Salem for a family voting celebration and parade! There will be voting swag, face painting, a balloon artist, and more. After a brief rally, we’ll march to WR Anderson Recreation Center to cast our votes and start the party. Doors open at 9:30 at Emmanuel Baptist Church, 1075 Shalimar Dr., W-S, where we will get decked out in proper parade attire (including pompoms, parade wands, bracelets, noise-makers, bubbles, and pinwheels!). There will be a brief rally from 10-10:30, then the Triad Women’s March on the Polls will start from the Emmanuel Baptist Church at 10:30. Together we will march to vote at the WR Anderson Recreation Center, at 2450 Reynolds Park Rd., where our voices will be heard in the streets and at the polls! After the march, there will be a family voting celebration with photo props for voting selfies, a face painter, a balloon artist, and the kids will even have a chance to cast their own vote! And we will have snacks for children hungry after a big parade! Date: The event will take place on Saturday, October 27th. 9:30-10: We will gather at Emmanuel Baptist Church, 1075 Shalimar Dr.,W-S, where kids and parents alike can pick out voting swag and parade gear. 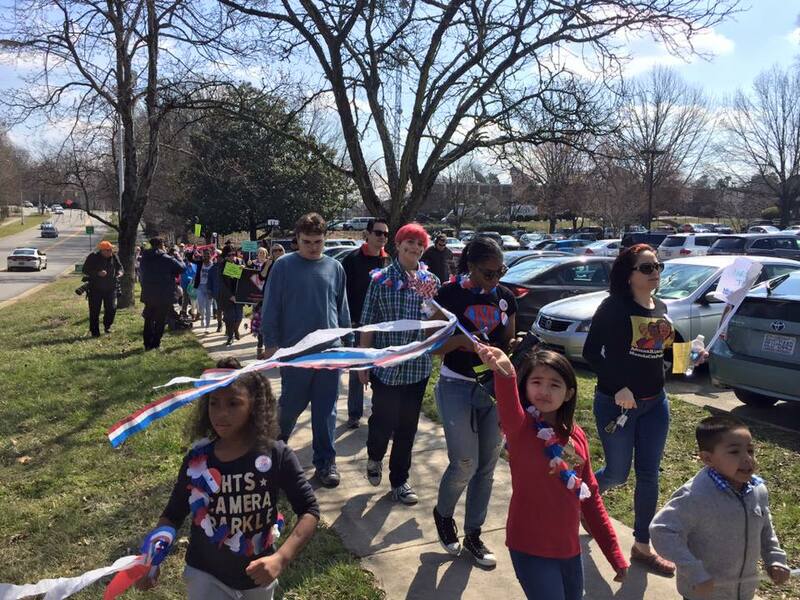 10:30-11:00: We will march with the Triad Women’s March on the Polls to vote at the WR Anderson Recreation Center, at 2450 Reynolds Park Rd. 11:00-3:00: We will hold our family-friendly voting party outside the Recreation Center. 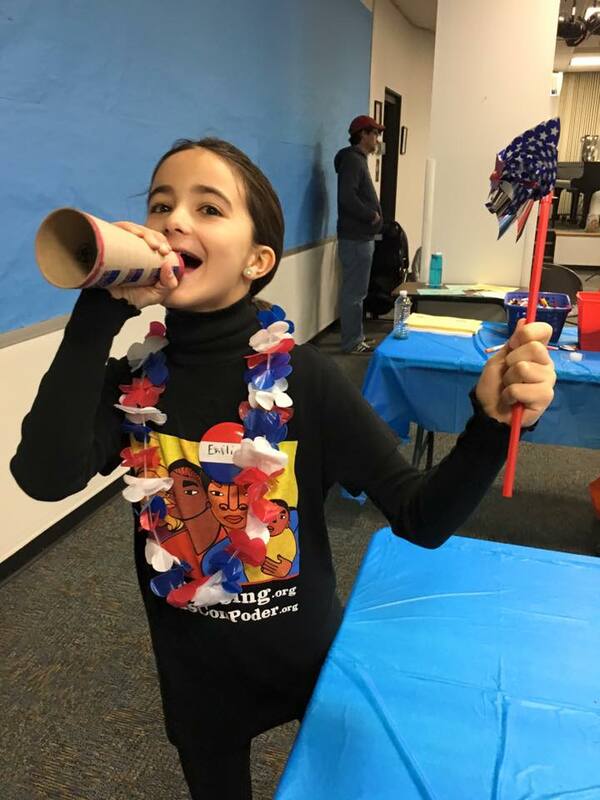 At the party, you can take selfies at our voting-themed photo booth, get your face-painted, visit the balloon artist, eat snacks, and more. The ballon artist and face painter will be present form 11-1. The event is nonpartisan, but very powerful. The vote isn't something we can ever take for granted. Together as a community let's ensure all of our voices are heard. It’s important to elect our leaders, and what more fun way is there to vote than as part of a marching parade with your family? Let us know you’ll be joining us!